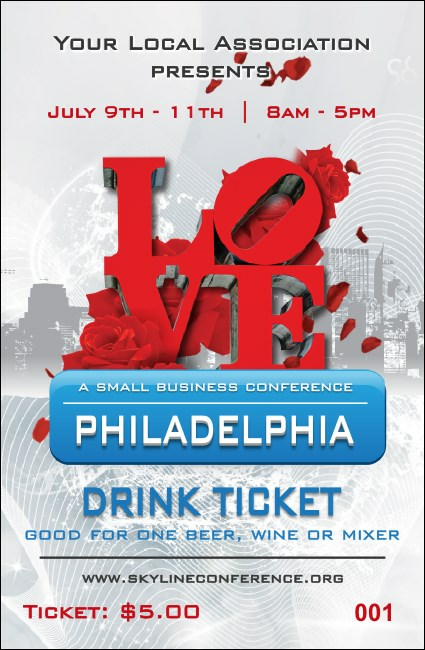 Show your guests some Philly-style brotherly love when you give them Philadelphia Rose Drink Tickets at your next event. Give everyone the freedom they want to visit the bar with tickets that feature bright red roses falling around the famous LOVE sculpture, and secure numbering for easy event organization. TicketPrinting.com helps liberate your event.